Estate: Located in Niagara-on-the-Lake, Ontario, Canada, Stratus Vineyards was the world’s first fully LEED-certified winery in the world in 2005. The 62 acres of vineyards “are divided into 44 distinct blocs. Each one, its own small ‘somewhereness’.” The soil consists of layers of mineral-rich earth, resting on a limestone foundation, resulting in a “clay-loam mosaic” of individual soil types. The sustainable estate grows 10 varieties of red grapes and 6 varieties of white. 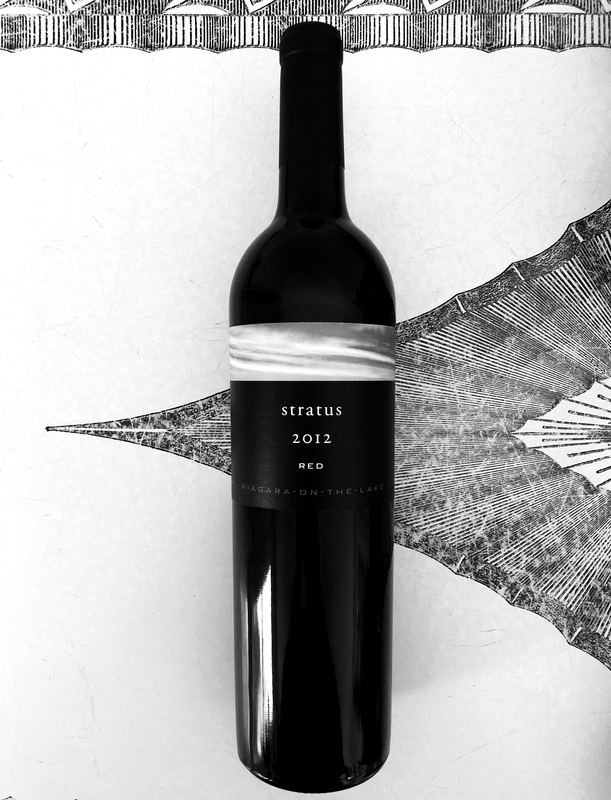 In 2009 Stratus enlisted famed winemaker/viticulturist Paul Hobbs “to bring additional international perspective to its operations”. Winemaking: Sustainable and minimalist methods are followed. Aged 622 days in French oak, 35% new. Harvest Note from the Winery: Summer temperatures continued to be above average with July being much drier than normal. Overall, the hot, dry climate resulted in the best growing season for Stratus to date and provided flawless fruit for an impressive lineup of wines. Tasting Notes: Inky red violet in colour with aromas of vanilla, chocolate, cherry, strawberry, black pepper and a savoury wisp. Strawberry and raspberry glide over a mocha frame, supported by velvety tannins and good acidity. Black pepper, black cherry and a hint of earth comprise the lengthy finish. Decadent and suave, great on its own, with spicy dishes or rich chocolate desserts.